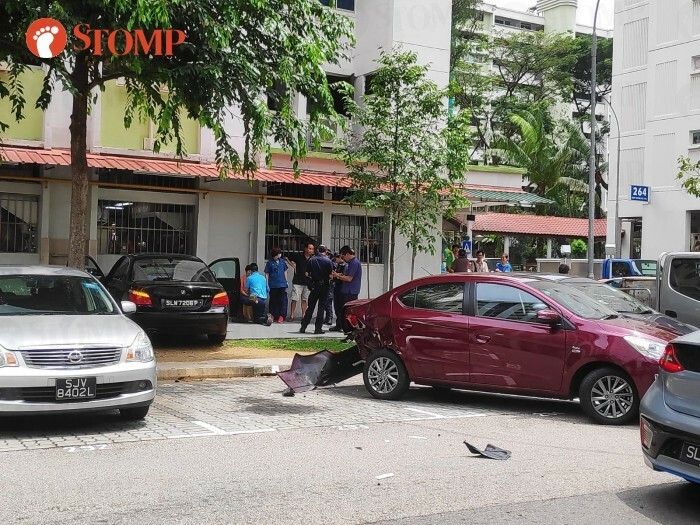 One day after a taxi crashed into an HDB block at Toa Payoh Central, a BMW crashed into the back of a coffee shop at Block 265 Bukit Batok East Avenue 4 on Tuesday afternoon (Apr 2). A Stomper alerted Stomp to the incident and shared photos he took at the scene. He was at the coffee shop when he heard people screaming. "We heard a loud bang and everyone left the coffee shop to see what had happened," he said. In the photos, a black BMW is seen at the back of the coffee shop with the front part of the vehicle making contact with the wall. The impact was apparently big enough to cause the concrete to break. A maroon Mitsubishi is seen behind the BMW with part of its rear bumper dislodged and mangled. In response to a Stomp media query, the police said they were alerted to an accident involving three cars at the said location. 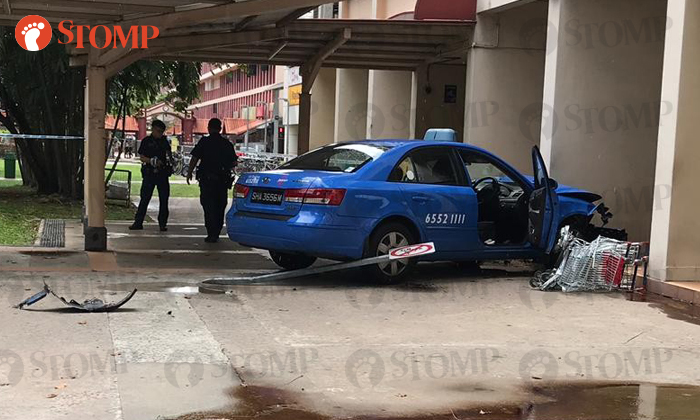 On Monday afternoon, a 62-year-old cabby was taken to hospital after an accident involving two taxis occurred at a taxi stand along a service road at Toa Payoh Central. There were no passengers on board the ComfortDelGro cab and no members of the public were injured.